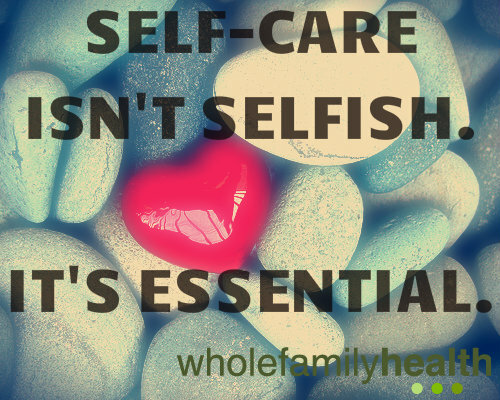 Self-care is fundamental to physical, mental, and emotional/spiritual health and greatly affects all those around us. However, many of us feel that when we put our own needs and wants first we are being selfish. When we invest all our energy in the well-being of others, we cut out what we feel are the non-essential components of life that are actually some of the largest contributors to our personal well-being. Self-care takes a back seat when you feel overwhelmed with responsibilities and are exhausted- but when we don’t properly take care of ourselves under stressful circumstances we risk burning-out, which negatively affects our well-being as well as those around us. Many of us are unaware of the negative cycle this creates, or how to break out of it. The good news is, engaging in self-care is actually quite simple and the benefit goes a long way. Self-care is anything done intentionally that nourishes our physical, mental, and emotional/spiritual health and well-being. Basic self-care includes adequate sleep, healthy nutrition, purposeful physical activity, positive relationships, and indulging in moments of joy, for example. When our own health and happiness is cared for, we are more authentic and effective partners, workers, friends, parents, and supports. If you take care of yourself in these important ways, you can take better care of others as a result – and this is what you deserve and what everyone around you deserves! 1) Nutrition: A healthy and balanced diet is crucial when it comes to a healthy body and an optimally functioning brain. 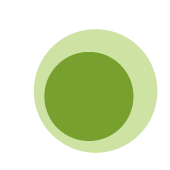 Food intake directly impacts the body’s natural ability to nourish it’s many complex systems, so it is essential that what you ingest is healthy and balanced. 2) Sleep: Adequate levels of nighttime sleep are imperative for optimal physical and mental health, and a lack of sleep can have serious negative effects on our health. Poor sleep decreases brain function and can lead to a wide range of health concerns including heart disease, obesity, anxiety and depression, diabetes, and more. Your mind and body love good quality sleep, and require 7-9hrs of it consistently every night. 3) Purposeful Physical Activity: Exercise is critical for physical and mental health, and is a proven stress and depression buster. The health benefits of exercise are extensive. Just focusing on movement for even 10-minutes a day is a great place to start. 4) Stress Reduction: This involves reducing life stress, and engaging in rest and relaxation habits. Relaxation techniques like meditation, mindfulness, yoga, focused deep-breathing, tai-chi and other stress reducing activities can be greatly beneficial. The body is capable of so much more when it is not in a state of stress, so it is important to recognize stress and learn to manage it appropriately so the negative effects of stress do not become larger issues. 5) Being PRESENT and experiencing JOY: Spend some time with yourself and engage in something that you LOVE – and allow yourself to fully experience it without your mind wandering off to worrying about the past and future. 6) Health-Care: Be proactive and preventative in your health interests. To advocate for your health involves understanding your body and being able to recognize when something is needed physically and mentally. Seeking care from complimentary health treatments such as acupuncture, naturopathic medicine, or massage therapy is an excellent way to manage your health naturally. Genuine self-care is never selfish, and is about being true to ourselves, nurturing and caring for ourselves, and loving ourselves deeply so we are in a healthier position to take on challenges. We are in better positions to authentically care for and love others when we first ensured we have been cared for and loved ourselves – and who better to love and understand you than yourself?! Taking care of yourself is priority; everything else will follow naturally and will thank you because of it. If you are interested in learning how you can add acupuncture, naturopathic medicine, or massage therapy to your self-care routine, or would like to discuss how to best start incorporating self-care routines into your life, please contact us at Whole Family Health today to schedule an appointment!